C.B. 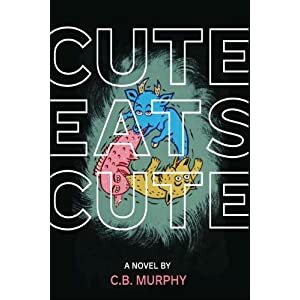 Murphy's compelling debut novel Cute Eats Cute , a humorous and ironic coming of age story, set in a Minnesota town, will be published by North Star Press of St. Cloud, MN on October 26, 2010. In Cute Eats Cute , 15-year-old narrator Sam is forced to confront an adult world filled with posturing, pretense and the pursuit of personal issues and agendas. Sam's mom, Elissa, is into New Age spirituality, and dad Jeff works for the Department of Natural Resources, which has just announced that it plans to slaughter "excess" deer in urban parklands. Mom is against it and dad is pro-hunter and so the trouble begins. Cute Eats Cute , the title taken from a speech Sam's dad makes at his high school defending the urban deer hunt, encapsulates how animals eat one another for survival and defense. The satirical jabs at the men's movement, the deafening but impressionable rhetoric of the gun-toting right wing group, The Hunters of Men, and the fragile friendship of Sam's school chums (who are each facing down their own personal issues against their blind ecology crusade) all conspire to make Murphy's novel one that will make readers laugh as they consider the paradox and folly of the human condition. "The book explores, and warns us about, the many false utopias that its characters embody," says the Minnesota-based novelist, who is also a film maker, cartoonist and painter. Murphy says his colorful writing style is influenced as much by the popular culture offerings of fellow Minnesotans the Coen Brothers' films, the music of David Byrne and Nick Cave, and the absurd comedy of Mystery Science 3000, as it is by authors he greatly admires, from Melissa Bank, Chuck Palahniuk and David Sedaris to his mentor, Mark Wisnieski. "The Coens, for example, consistently mine life's laws of unintended consequences. It's where the most meaningful drama and comedy lie." In 2005, C. B. Murphy received first prize for fiction at the Southampton College Writers Workshop, judged by Billy Collins, Matthew Klam, and Frank McCourt. An excerpt from Cute Eats Cute was published as a short story in Ellipsis Magazine. For several years, Murphy was a cartoonist for The Chicago Reader which ran his weekly comic strip, "C. B. Murphy." The Chicago Museum of Contemporary Art selected his book, January is Alien Registration Month , for its permanent Artists' Books collection. 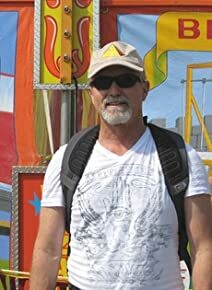 His artwork and illustrations include, The Second Mongolian Invasion , Nuclear Pup , and Masonic Kabbalah Circus, all of which are in the University of Cincinnati collection. Murphy's short films have screened across the U.S. including at the Walker Art Center in Minneapolis and the Willis Gallery in Detroit. C.B. Murphy is from a large, Irish Catholic family of 10 children, was raised in Detroit and "trained early to laugh." He is hard at work on his second novel, The End of Men. He lives in Marine on St. Croix, a river valley town outside of Minneapolis-St. Paul where he resides with his wife and two teenage sons. This book seems to have it all and more and the author is not afraid to bring it up in this book. Though this book is a satire, you can tell that it goes much deeper than this alone. Instead you are given a look into one teenager' life and you are able to see the confusion and tension which surrounds this character's life. What I loved about the book was that is brings to light so many of today's cultural ills. Not only do you see the teenager's challenges, but you also see all of the familial issues that the teenager is fighting against as well. The main character must choose between his parents' causes and whether or not to follow them. On top of this the character is fighting to survive intense peer pressure. You can probably guess that this book can be as confusing to the reader as it is to the teenager. I say this not in a bad way, but instead to point out that the author has done a remarkable job at bringing the challenges of a teenager's life to the forefront, allowing the reader to understand and feel what it is really like to be a teenager. Overall, this is a great book, that will leave you wanting more!